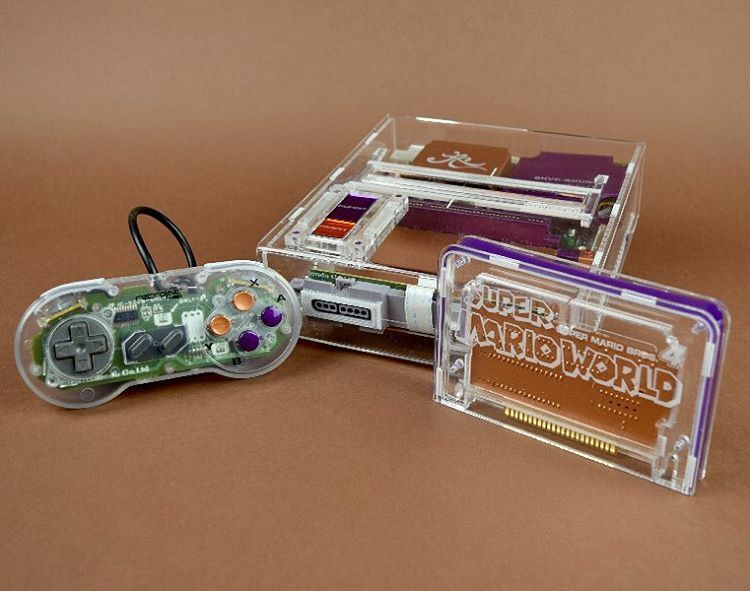 These SNES consoles have been treated to a 100% brand new, hand-built exterior, all while retaining complete original function. Each is assembled by hand with the care and attention to detail that you have come to expect from RCG. 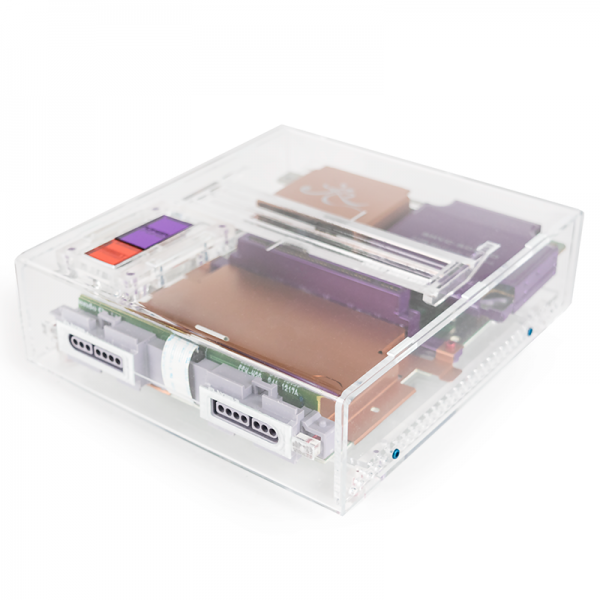 The housing consists of laser cut and etched acrylic components which have been drilled, bent, bonded, threaded, & assembled using all new anodized aluminum hardware. Many internal components have been slathered in various finishes then etched in order to accentuate items which were never meant to be seen. All hand-built, these units will only be available in VERY limited quantities upon release, with each being treated to a unique serial number.